The Marangu Route is the easiest and shortest route to Kilimanjaro’s summit and is known as the “Coca Cola” or “tourist” route. This is the only route on Kilimanjaro with the comforts of solar-powered sleeping huts and comfortable beds at every camp. The huts are communal, and each bunk has a sponge mattress and pillow. There are 60 beds at both Mandara and Kibo Huts and 120 beds at Horombo Hut. Bathrooms and running water are available at the two lower huts. Basic men’s and ladies’ latrines are available at the last camp. All climbing groups, often from several countries around the world, share meals in dining huts providing a jovial and energetic atmosphere. Soft drinks, bottled water, and beer may be for sale at the huts. Bring small Tanzanian bills to purchase these items (prices increase with elevation). This route is usually done in 5 days, but you can do it in 6 days for better acclimatization. You can spend your extra day resting at Horombo or climbing to a basecamp below Kibo’s sub peak Mawenzi. Arrive at the Kilimanjaro International Airport. You will be met at the Airport and transferred to the hotel in Arusha or in Moshi for your overnight and briefing by our mountain guide. You can start your trek any day of the year! After breakfast and a briefing from your guide, leave Moshi at 9 AM, drive for 45 minutes (or if driving from Arusha leave the town at 7 AM, drive for one and half hours) to the Marangu Gate on the eastern side of Kilimanjaro, register with the national park, and begin hiking at 10:30 AM. In the rainforest, look for towering Eucalyptus trees, bird life, and Colubus monkeys. At these lower elevations, it can be wet and muddy, so gaiters and trekking poles will help. Shorts and t-shirts should be sufficient, but keep your rain gear and warmer clothing handy. Stop halfway for lunch, and reach the Mandara Huts at 2 or 3 PM. Unpack, rest, and have some tea or coffee. A 15 minute side trip to Maundi Crater is a good way to see the surroundings including Northern Tanzania and Kenya. Dinner is served during the early evening at 7 PM. Bathrooms with running water are available. Wake to a 7:30 AM breakfast, and pack for your next trek. Break camp by 8:30 AM, hike for an hour through rainforest glades, then follow an ascending path through heathland where you can look for giant lobelias and groundsels. Continue up into open moorlands where small shrubs are the main vegetation. Stop halfway for lunch, where you can enjoy amazing views of Mawenzi. Arrive at the Horombo Huts by 3 PM, where you can see Kibo’s summit. Rest, unpack, and prepare for dinner. Bathrooms with running water are available. You may start to feel the effects of altitude here, and to aid your acclimatization, you can choose to spend an extra day resting at Horombo or climbing to a basecamp below Kibo’s sub peak Mawenzi. Wake to breakfast as usual, but if you wake early you can get some great photos of the sunrise. The first part of the day’s hike climbs through the dwindling heathland that blends into a moonscape as you enter the sweeping saddle connecting Mawenzi and Kibo. When you stop for lunch, and later when you cross this surprisingly large saddle, you can examine the summit climb up Kibo that you will be starting in just a few hours. Be careful to notice any signs of altitude sickness. There is no running water at the Kibo Huts. peak! Be sure to have your picture taken at the summit to show your friends. After your summit stay, descend back to the Kibo Huts, have lunch, rest, collect your things, and re cross the saddle to the Horombo Huts. Eat dinner and get some well-deserved sleep! Wake as usual, pack, and descend through the moorland to the Mandara Huts. Have lunch there then continue your triumphant recessional down through lush forest to the park gate, which you should reach around 2 or 3 PM. Remember to tip your guides, cooks, and porters, since you will be leaving them here. A vehicle will take you back to the Hotel in Moshi/Arusha, where it is definitely time for celebration! 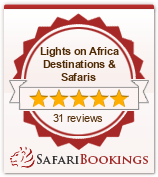 Tarangire National Park and to Arusha National Park. Also we can arrange trips to Southern Circuit such as trips to Selous game reserve, Mikumi National Park and Ruaha National Park. Transport to and from mountain gates. All accommodations on the mountain based on three meals a day. Cook and all kitchen utensils. Sleeping bags but we can provide for hire on request.